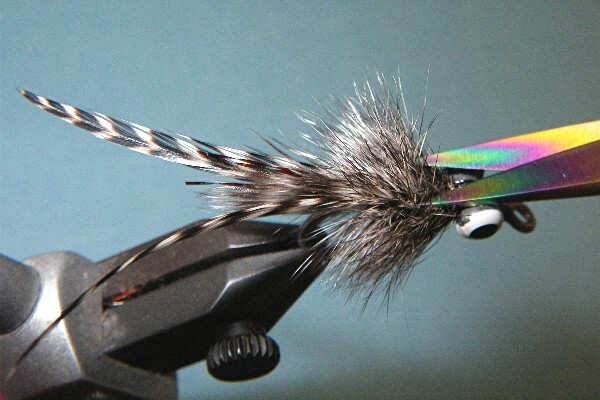 This fly is really a variation on the Whisper Crab, sold by Orvis. The genius of the original Whisper Crab is that it is made completely from one material- hackle feathers. My version is closer to something Kevin tied several years ago and called the Fuzzy Hand. 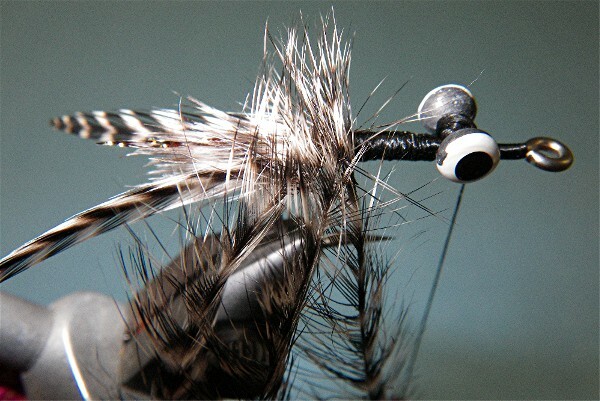 Kev taught me most of what I know about fly fishing, and it�s no coincidence that nearly all my flies end up looking like the uglier cousin of something he tied long ago. Step 1. Using figure 8 wraps, lash down the dumbbell eyes to the hook shank a little further towards the bend than usual. 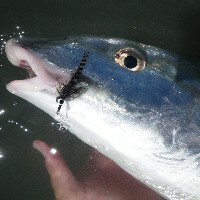 This will help the fly to ride hook point up without having a true wing. Step 2. Moving the thread back to the bend of the hook, tie in a clump of grizzly marabou and a few strands of krystal flash. 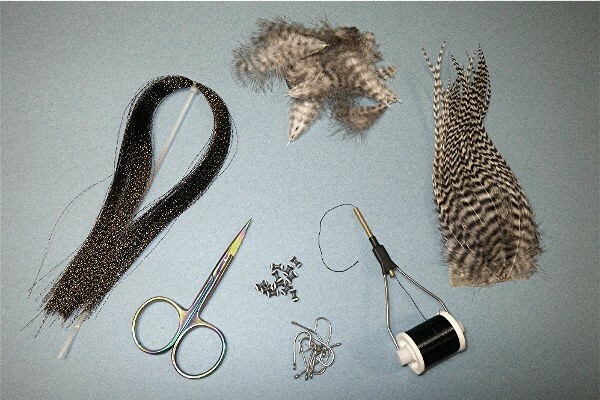 Try to keep thread wraps to a minimum and create a flat even base to tie your hackle tips onto. If you make a big round lump of thread, the hackles may twist when you tie them in. Step 3. 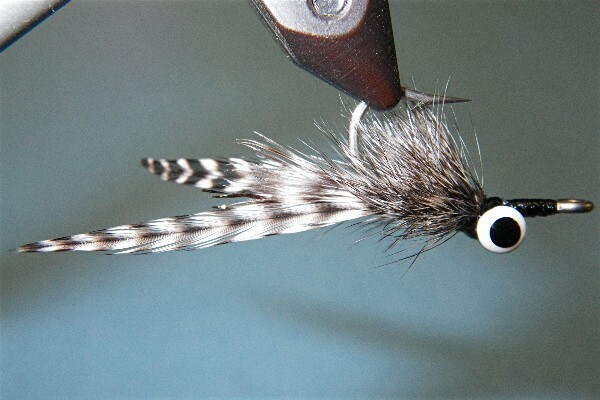 Tie grizzly hackle tips onto either side of the marabou tail, each slightly longer than the overall body of the fly. Some tiers prefer to strip the barbs from the stem first, some prefer to lash the barbs down. Either way works, just as long as the hackle tips end up even and splayed. Step 4. 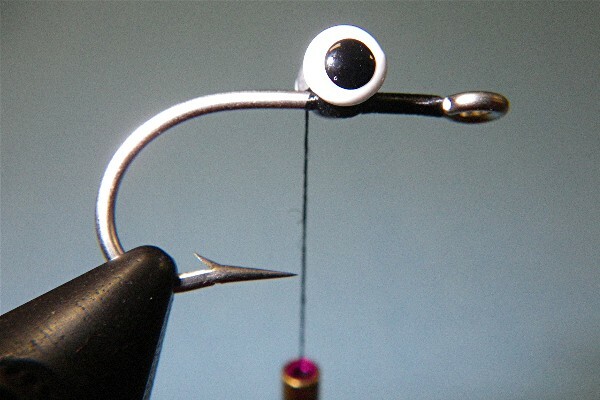 Pile thread along the hook shank to make a flat even base to palmer your hackles onto. Step 5. 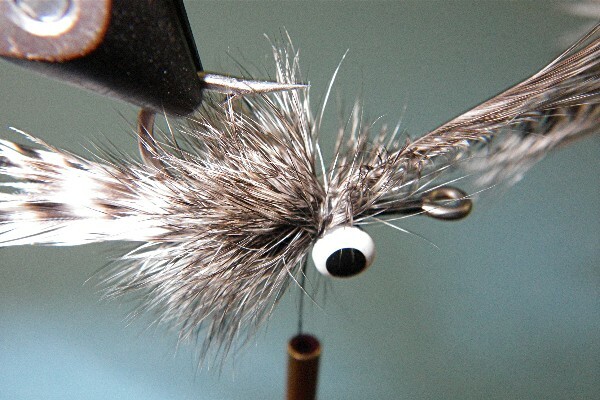 Tie in three webby grizzly saddle hackles near their tips at the bend of the hook. If your feathers are long enough, you can use the same ones you got the tips from. Step 6. 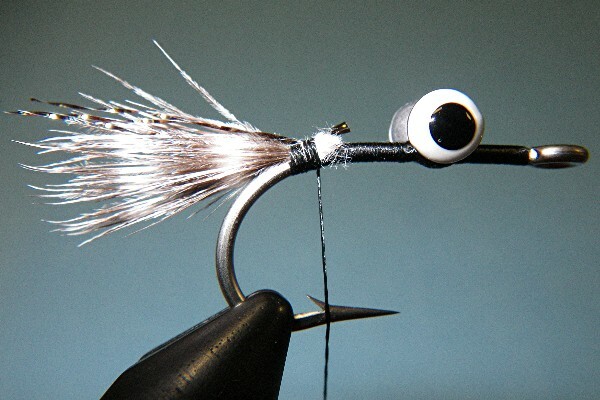 Pulling the barbs back as you wrap, palmer in all three hackles at the same time, right up to the dumbbell eyes. Step 7. 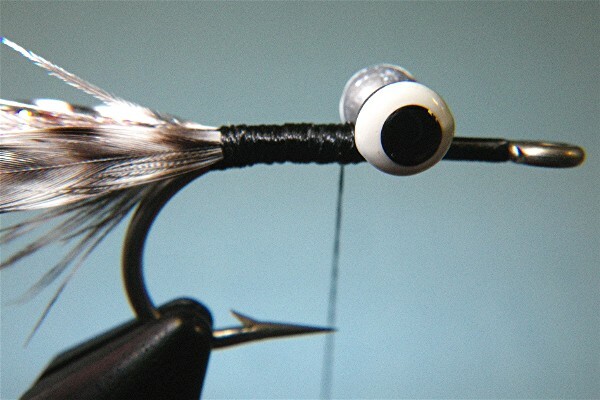 Tie off the hackles just behind the eyes, and whip finish in front near the eye of the hook. Apply head cement to all the exposed thread around and in front of the eyes. Step 8. 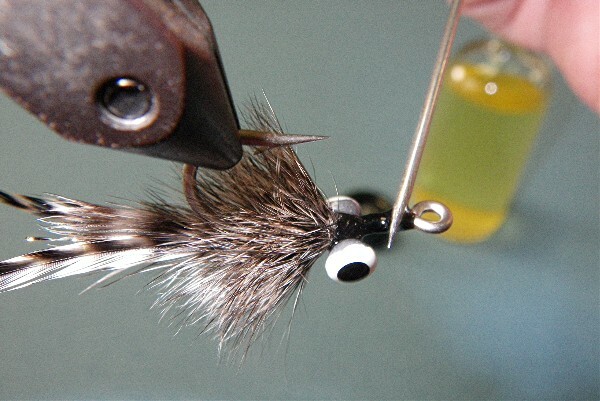 Trim the hackle barbs from the bottom of the fly as close as you can to the hook shank without cutting the stems. 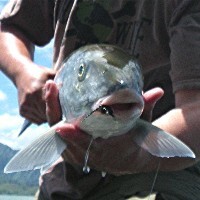 The buoyancy of the remaining barbs will help the fly ride hook point up. All pau and we're ready to fish! Some of you might question my use of black & white instead of the usual tan, brown, etc. 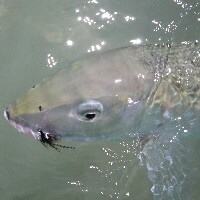 you see in most bonefish flies. 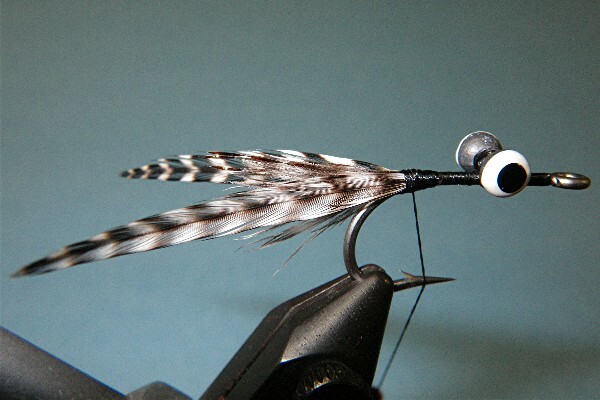 I liked the strong contrast of the natural black & white grizzly hackle, and evidently the fish liked it too. If you prefer, you could easily tie the same fly in tan, brown, or whatever color you have more faith in. Now go catch the big one!